Vox 2.0.1 is a very lightweight software utility for music playback. It enables you to listen to multiple audio file formats. Since it comes with a very well-organized interface, it is extremely user-friendly as well. As we have already mentioned above, Vox 2 is capable of playing various audio formats. Some of them are MP3, AAC, FLAC, OGG and WAV. This application supports shortcuts, notifications, album artwork preview, etc. In addition, Vox music player comes with equalizer presets. 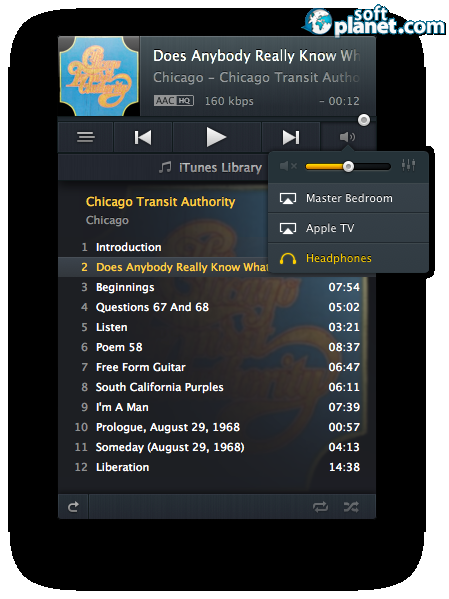 Besides the standard control panel from the main window, you can control audio content from its dock or right from the status bar. Vox is probably the best audio player for Mac-OS-powered computers. It can really bring you “a whole new world of music” right on your machine. Thanks to its handy features, you get the ultimate user experience possible. Our security scan shows that Vox is clean from viruses. The current version of Vox has been scanned by our system, which contains 46 different anti-virus algorithms. That ensures that Vox 2.0.1 is 100% safe for your computer.